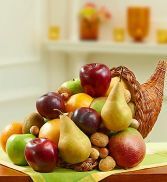 A festive cornucopia basket filled to the brim with all the favorite fruits and shelled nuts for the holiday season. 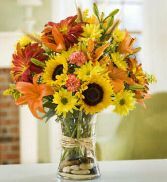 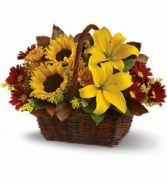 Flowers by Marianne in Salisbury, ma makes fruit baskets fresh daily and delivers and ships baskets everywhere worldwide! 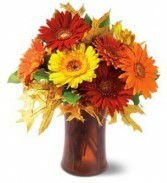 Red Rover mums are a perfect flower to adorn this festive fall arrangement. 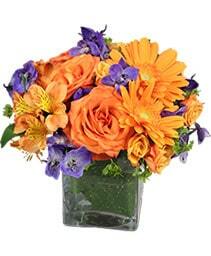 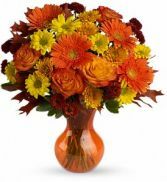 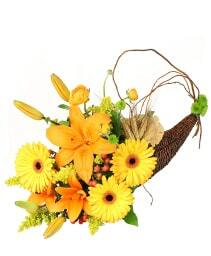 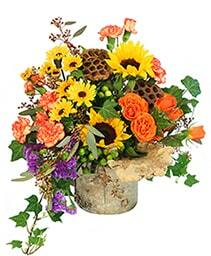 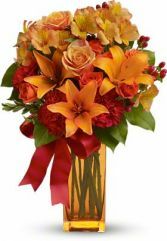 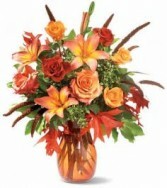 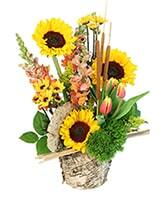 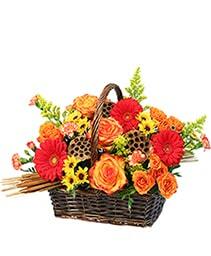 This fall favorite is a perfect flower basket to send for thanksgiving with all the fall beauty and colors. 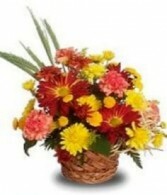 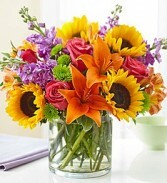 Flowers By Marianne in salisbury, Ma delivers locally and worlwide. 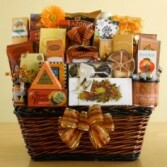 This Basket it filled with seasonal yummy treats. 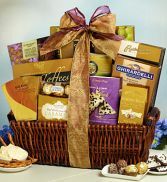 To include Biscotti, Pecans, Cheese & Crackers, Assorted Chocolates & Many More! 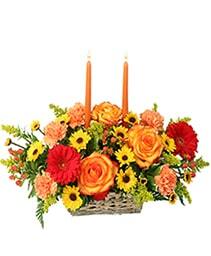 This beautifully designed centerpiece comes with a globe around the candle. 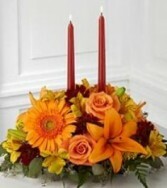 Perfect to adorn your Thanksgiving table with a glowing ambiance. 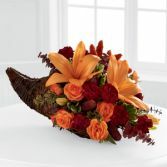 This Thanksgiving, finish the feast with a fun & festive treat! 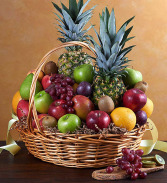 Our unique fruit creation looks just like a plump, juicy turkey. 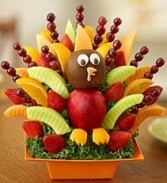 Complete with two crisp apples for the “head” and “body” and an assortment of juicy melon, strawberries, oranges and grapes for “feathers,” this delicious dessert is guaranteed to get gobbled up! 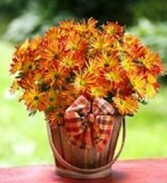 Long Lasting Plant for Fall.